LOUISVILLE, Ky (Dec. 2, 2018) — Horse racing’s fans have spoken, and Winx, Australia’s queen of racing, has been voted the winner of the 2018 Secretariat Vox Populi Award in the year-end online poll. Created by Secretariat’s owner Penny Chenery, the award annually recognizes the horse whose popularity and racing excellence best resounded with the general public and gained recognition for Thoroughbred racing. Winx was the top choice among U.S. voters as well as international fans representing a record 60 countries. The 7-year-old bay mare has garnered the devotion of turf enthusiasts Down Under as well as the attention of a worldwide legion of fans with her impressive 29 consecutive wins. In 2018, her historic fourth straight victory in Australia’s prestigious Cox Plate, along with a perfect 7-for-7 record, extended her ongoing streak and added to her current career earnings of more than $16 million USD. The custom-made Vox Populi trophy will be presented to the Winx connections on Jan. 12, 2019, at Santa Anita Park. In conjunction with the presentation, a variety of festivities will be offered to the public, including a special Vox Populi poster giveaway, autograph signing and silent auction. Winx’s rise to stardom is reminiscent of that of Zenyatta, the 2010 Vox Populi winner whose own magical winning streak also inspired a large fan base. Additionally, the two regal race mares were sired by the revered stallion Street Cry and share the distinction of being the only females to be honored as award recipients. Trained by Chris Waller and ridden by jockey Hugh Bowman, Winx is owned by Magic Bloodstock, Debbie Kepitis and Richard Treweeke. 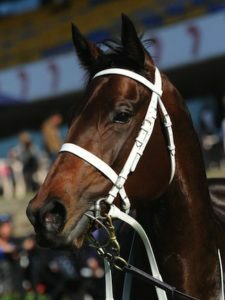 Winx was one of a select group of nominees submitted by the Vox Populi Committee and presented to thousands of voters worldwide who spoke as the “Voice of the People.” Other nominees were 2018 Breeders’ Cup Classic winner Accelerate, European distaff sensation Enable, 2018 Triple Crown winner Justify, and champion filly Monomoy Girl. Voters also had the option to write in their own favorite. Throughout the process, Winx prevailed and now joins a list of cherished racing stars who have also received the Vox Populi Award: Ben’s Cat (2017), California Chrome (2016 and 2014), American Pharoah (2015), Mucho Macho Man (2013), Paynter (2012), Rapid Redux (2011), and Zenyatta (inaugural 2010).